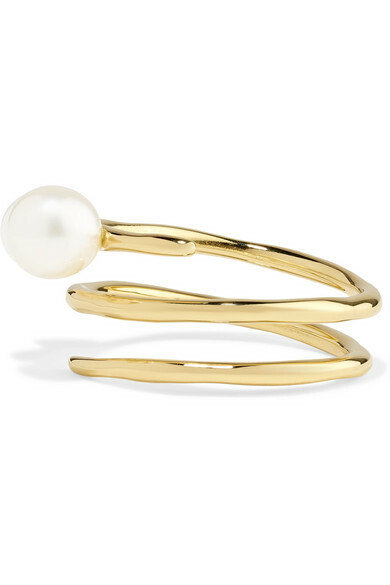 Ippolita's ring is part of the brand's celestial-inspired 'Nova' collection. 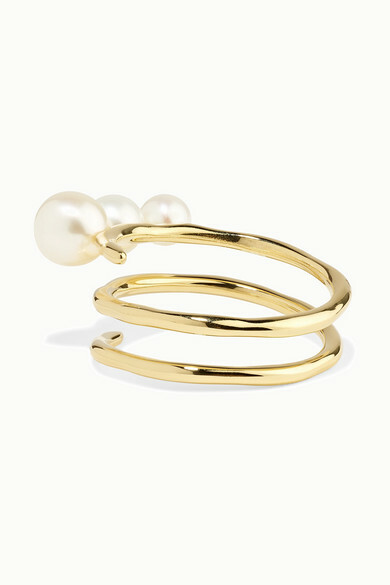 Handcrafted from 18-karat gold, it coils elegantly around the finger and is set with three lustrous freshwater pearls. 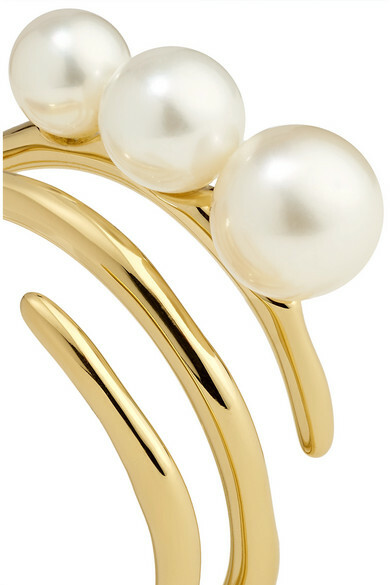 Wear yours solo or stacked with similar styles - we especially love it with the onyx version. Shown here with: Michael Lo Sordo Shirt.